The building of Europe is a fascinating moment in History. Europe : a succession of political dreams . . .
Europe is NOT one more free trade zone. This is an important side of it but you don't make people dream about custom duties. Free trade was a project to bring prosperity, and it did work as such but it was not a dream. The original dream in the 1950s was about PEACE : no more wars! And this dream came true : today, who can fear a war between member states, after three Franco-German wars in 70 years, or a civil war in a state involving other states, like the Spanish war in the 1930s? Read about life in occupied France 1940-1944. The second dream was about FREEDOM and DEMOCRACY. This is why the European Union accepted as members many countries shortly after they were liberated from a dictatorship : Spain, Portugal and Greece in the 1970s and ten Eastern former Communist countries in the 1990s. By becoming members of an association of democratic regimes, it was expected that they would evolve and become one of them. And this dream also came true : even if there are, here or there, unacceptable political movements, all of Europe is clearly a region of sustainable democracy. The third dream is more difficult to reach, at least for the moment : it is to transform a group of 28 different countries, each with its own political power, into some sort of a federation with a kind of political POWER of its own. This is the challenge for the next years. The Europe of the future will not be a federation like the USA (the "United States of Europe"). It will be an entity that is different and more complex, to be invented. Come back in 2050 or so! All the surveys about Europe and the French show that for them, basically, Europe means : 1/ peace, 2/ the reconciliation with Germany and 3/ prosperity. What is the most important about Europe today? How does France compare to other European countries? France represents approximately 1/7 of the European population (now 28 countries). France is the least dense and the largest country in Europe (but Texas is 25% larger and Alaska twice!). It has the largest surface of forests. It is the first tourist destination in the world (in Europe, before Italy and Spain). Among European countries, in terms of economic power, the order is Germany (GDP 2014 =2,904 b Euros) followed by UK (2,222), then France (2,142) and Italy (1,616) ; the GNP of the smallest country, Malta, is 8 b. Total GNP of the EU is 13,921 b Euros. The 12 recently admitted countries are economically and socially less advanced but, having an educated population, they are growing fast. Their arrival is creating a significant internal competition within Europe. See geographical facts and figures about France. Will Europe ever be built? Some countries, typically the U.K. and, in the future, Switzerland want only an economic Europe. Some countries want a political Europe if it makes it possible for them to play a bigger role, in spite of their reduced importance (typically France and maybe Germany). Most European countries think that Turkey would be very welcome in an economic Europe but very inadequate in a political Europe, because of the huge cultural differences (remember : it is a Muslim country). Morocco, Tunisia are like Turkey. Countries like Ukraine and Moldavia are absolutely European from a cultural standpoint but not economically and they would raise huge political problems if they joined. Other countries are economically too selfish (Norway) to join even political or cultural Europe, etc... And what about Russia ? In brief : there is obviously room for an economic region of 40 countries. The cultural common feeling does not raise any problem. The political power of Europe will not be created as clearly as it was in America : it will probably appear progressively and develop with time and/or from a smaller number of countries (like the 6 founding countries). See "why it is so difficult" and "reasons for hope" and read some specific political problems of some European countries. By persistently pushing the Turkish candidacy to Europe, American diplomacy played a very dangerous role : Turkey is frustrated and European countries are embarrassed. What if the European Union promised Mexicans to help them to become the 51rst US state ? The building of Europe is an excruciating process, however, there is now some Good News about Europe in spite of the major crisis created by the Brexit in 2016. What is the major dividing line in Europe? between Northern Europe and Mediterranean Europe. France belongs more to Mediterranean Europe in spite of some Northern aspects. This comes from its geography and its history : the borders between the Mediterranean and Germanic world, between Catholicism and Protestantism, etc.... : France is torn between being the most advanced Southern country or being the least reasonable Northern country in Europe ! between countries which see Europe rather like a large free trade market (UK, Scandinavia and Eastern Europe) and those which see Europe rather like the birth of a federation (mostly the 6 founding countries : Germany, France, Italy, Belgium, Netherlands and Luxembourg). In terms of foreign policy, the first want to maintain close relations with the USA when the latter think they can build a federation, friendly with the USA but a world power in itself. sometimes she wants to be the country the most open to social and environmental concerns of global countries, and she lectures UK and Germany (who hate it too!). T.R.Reid has elaborated comparative ratios between the 25 European countries regarding anti-Americanism, Federalism and Globalization. How many languages in Europe? the European Central Bank (in Frankfurt). Adopting and implementing a constitution for 28 countries is one of the main issues of the coming years. A project was signed by the heads of state in Roma (Oct.28, 2004) and had to be approved in each of the 25 countries by a vote of the parliament or by a referendum (like in France). It was rejected by France and Netherlands and a new project had to be elaborated (Traité de Lisbonne). Finally (2010), a less ambitious constitution created 2 positions which are expected (within a few years...) to strenghen the European institutions : a President (the first one being H.Van Rompuy, a Belgian) and a Minister of Foreign Affairs (C.Ashton, a Briton). How many countries are candidates for admission to the European Union? Is the European Commision a "super- bureaucracy"? It is easy to criticize the "Brussels administration" and consider it is just a stupid bureaucracy. In fact, by reducing the innumerable disparities between the country members, the European Commission made it progressively possible to consider Europe as one market, with the same standards (protection of the consumer : see "how to read a label"). Since 1999, the Euro is the European currency. It is used in 17 countries out of 28 (among the members in 1999, UK, Denmark and Sweden have not adopted it). Newly admitted countries will join it progessively when they meet the European financial standards. Last admitted : Slovenia, Malta, Cyprus (2008), Slovakia (2009). Four small countries who are not full members of the European Union (Andorre, Monaco, San-Marino and the Vatican) can use the Euro and even mint coins. Read about small countries in Europe. The Euro first had a fixed exchange rate with 13 existing currencies (one Euro is 6,55957 French Francs) and these previously existing currencies (banknotes and coins) disappeared between January 1, 2002 and June 30, 2002 at the latest (for the French Franc : February 17, 2002). See about coins and bills. A comparative study (2002) illustrates the well-known North/South split (civic sense, importance of being part of a community, collective values, Protestants/Catholics, ...). Here again, France is in an intermediary position : Index of confidence in other people = 21 (European average : 31, Scandinavia : >60), % members of an association = 40 (Europe : 46, Scandinavia : >90), politization index = 40 (Europe : 45, Scandinavia >60), % of members of a labor union = 9,1 (Europe : 20 (estimated), Scandinavia : >80). See détailed results. The European budget is small and it represents only around 1% of the GNP of the member states (see figures). In 2012, the biggest net contributors to the European budget are Germany, France, Italy and UK and the biggest net beneficiaries are Poland, Greece and Hungary (see detailed figures). France pays 18,1 b € and receives 13,2 b € of which 9,5 (agricultural Policy), 1,8 (regional Policy), 1,3 (R&D policy) and 0,5 (others). Intercultural management : with questionnaires for more than 100,000 employees of IBM, all over the world, Geert Hofstede (1991, 2002) has identified 5 dimensions to assess intercultural management differences (see more details and see the numbers (quoted by R.Hill). Religion : some countries are almost exclusively Catholic (typically Poland or Ireland), others almost exclusively Protestant (like Sweden), or largely split (like Germany). France (with Portugal) is probably the the most secular country in Europe. Read more on religion. DID YOU KNOW THAT.....? 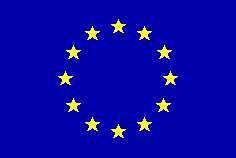 The European flag (see above) is blue with 12 stars (they do not correspond to the number of countries). The European anthem is the final of the 9th symphony of Beethoven ("...Alle Menschen werden Brüder , Wo dein sanfter Flügel weilt." i.e. "Then we all shall stand as brothers, where your gentle wings spread wide"). The European motto is "Unité dans la diversité" (unity in diversity). Bulls : bullfighting is a national tradition in Spain and it is also very popular in Southern France ; many countries (again, Northern) invoke cruelty against animals to ban this form of art (this is the word the webmaster uses, since he is a strong supporter of this form of ART)... Spain and France are not obeying European regulations. Same situation for rooster fights, very popular near the Belgian border (but their artistic aspect seams --to me-- more questionable). Hunting : Europe is regulating hunting and, in the frame of the Environmental policy to protect endangered species, some traditional forms of hunting are strongly constrained : in two regions of France (Bay of Somme in the North and Gironde around Bordeaux) the tradition is to shoot doves on their way back from migration ; a political party to oppose this regulation gains up to 5% of the vote at any French election and again France is not obeying European regulation. More about environmental policy in France and read about the Presidential Hunting Parties. Gambling : the EU wants to introduce free competition into a sector which is strictly controlled by the State in France : read about it. Read about controversies about wine and see a list of ups and downs in the building of Europe. More to come about the wood-shaving war and more about cheese and the Raw-Milk-War. Roger WOODHOUSE, Tangled Destiny - France, Europe and the Anglo-Saxons, 2006, Thumbnail Pub. DID YOU KNOW THAT... Bullfighting is clearly a Spanish tradition and the best bulls and bullfighters come from Spain which dominates this activity but, still, France is a strong "corrida country" : many major ferias take place in France (Nîmes, Bayonne, Arles,...) and several famous bullfighters, with Spanish names, are actually French (Juan Bautista, for example)! Go see a corrida when in the South of France (Provence around Nîmes, Sud-Ouest around Mont-de-Marsan): maybe you'll love it ! (Picasso said :"Bulls are angels with horns") By law, in France, bullfights can take place only in cities which have an "unbroken bullfighting tradition" (47 cities in France, generally small). In Camargue (around Arles), there is another tradition of games with bulls, the "Course Camarguaise" : the aim is to grab a small rosette which is fixed on the forehead of a bull whose horns have been made less dangerous by a wooden ball at their end. Very spectacular and the bulls are not wounded and killed (but the players are often wounded!).. DID YOU KNOW THAT. ..? Hunting regulation is among the most typical examples of opposition between France and the European administration : because of a huge domestic opposition to it, successive French governments have refused to comply with European regulations on hunting periods for migrating birds and France has been sentenced to very big fines. A political party called " Chasse Pêche Nature et Tradition " got up to 5% of the votes in national and European elections. Among other examples of conflict between Europe and France, one could mention the regulation on food (forbidding cheese made with raw milk or calling chocolate products that are not real chocolate) ; a similar example with Spain are the attempts by northern countries to limit bullfights.. Protectionism and free trade : protectionism goes both ways and, for many Europeans, the EU is being very naive with the US by opening the European market while the US remain strongly protectionist ! In 2013, the subjects of conflict are actually pretty similar on both sides and the number of European complaints to WTO is higher (32) than the number of American's (19). See a few examples. DID YOU KNOW THAT... Launched in 1987, the European program ERASMUS enables students to do part of their cursus in a foreign university (generally one year). The target is to involve 5% of European students. Today, mostly in France, UK, Germany and Spain, 200,000 to 300,000 students are part of the program each year. It is now one of the key elements of the building of a common European culture. Cédric Klapish directed a wonderful film about it : "l'Auberge Espagnole" (2002). The Errasmus program is now extended to teachers and to young workers in apprenticeship. It is unanimously considered a huge success both for education and for the understanding of Europe by young people. Europe represents roughly one fifteenth of the population of the world, more than a quarter of the wealth and one fifth of the international trade. See comparative figures. For Americans, Europe may loook like a very heterogeneous continent, Europeans countrieshave a lot in common and, indeed, are closer to one another than they are with the USA. See a fascinaging chart to illustrate it. See mutual stereotypes between the 25 countries. Click here for an anti-European quote from the Washington Times ! Public Aid for Development : in spite of slight fluctuations (exchange rates, data year), there is no doubt that European countries spend significantly more in public aid than the USA : two or three times more (see detailed figures).